Your MP3 player is zipped into a secure pouch, should you trip over an errant shoelace and there’s also a spare pouch for your mobile, pedometer, or bag or crisps. 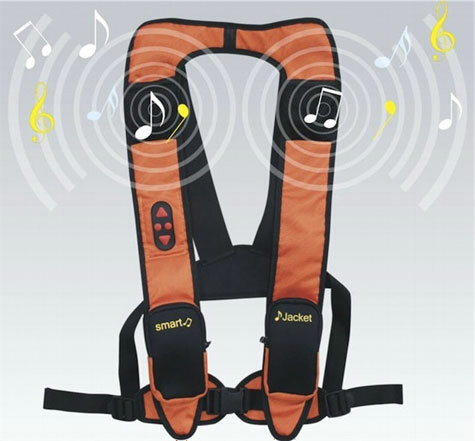 It has volume and track adjustment buttons on the arm and is available in a selection of colours, including ‘night safe’ bright orange. The blurb says that it’s “Ideal for jogging, biking, walking & skating”.